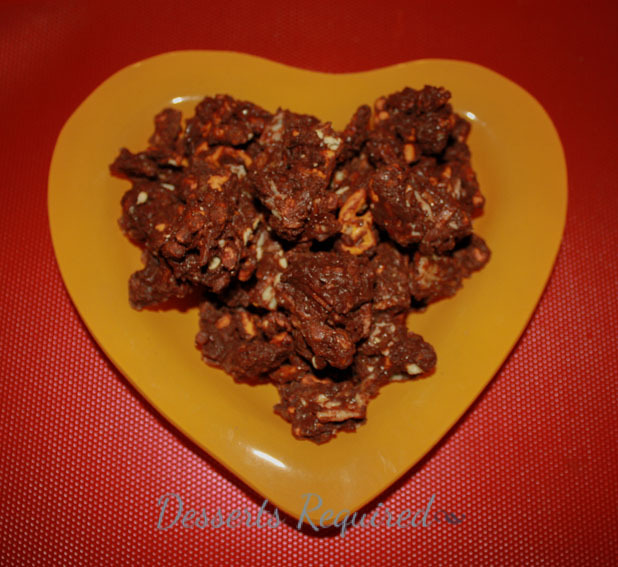 Rustic Munch Mix came about when I had a craving for something salty with caramel and chocolate. I had the potato chips, pretzels and chocolate in the house, but did not have any caramel. Uh-oh! 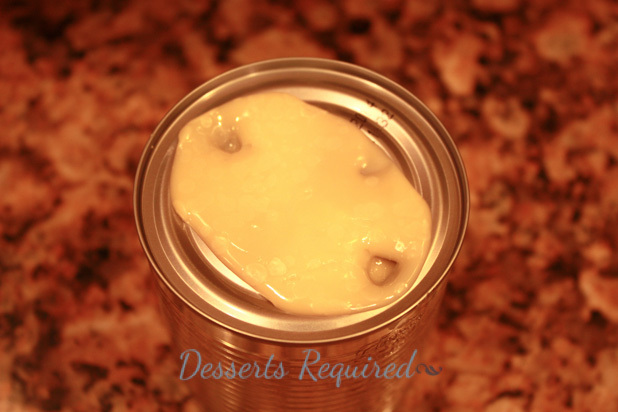 I did have a can of sweetened condensed milk and knew that cooking it on the stove for several hours would turn it into dulce de leche, which is similar to a caramel with milk. Since I did not feel like going to the grocery store, I decided to give this a try. I did a bit of research online before plunging the can into water and walking away. The best advice came from ehow.com. I poked a couple of holes in the top of the can and then placed the can into boiling water, brought it to a simmer and cooked it for 3½ hours. Be sure to add more simmering water to the pot so that the water level remains fairly constant. After the can cooled completely, I opened it up and started stirring. The end result was a gorgeous dark milky caramel sauce that was perfect for the snack I had in mind. I threw my four ingredients together and, voila, my craving was satisfied. 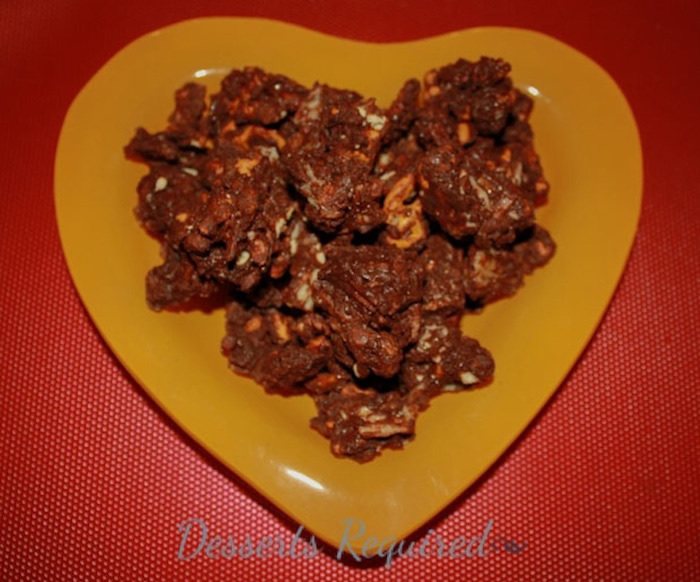 I made my first batch of Rustic Munch Mix and shared it with friends. 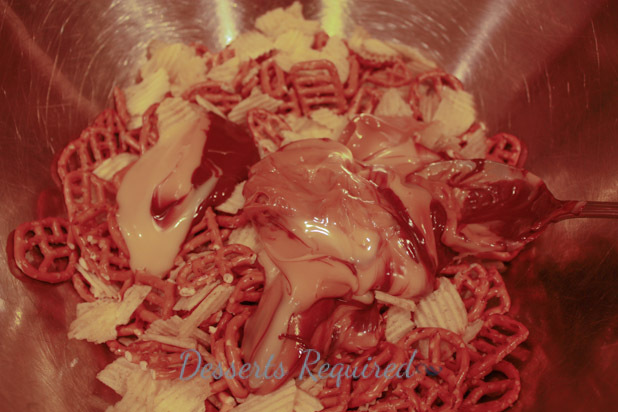 I debated mixing the chips, pretzels and dulce de leche together, scooping the mixture into balls and then dipping the balls into melted chocolate for a finer finish but chose not to go this route. When I mentioned the other option to my friends, they told me not to change a thing. In fact, they loved the more rustic finish of this munch mix, which is why it is called Rustic Munch Mix. Keep a batch handy in your freezer. It is great to share when friends stop by…if you have the willpower not to eat it all by yourself! Remove the paper from the sweetened condensed milk can. Poke two holes into the top of the can. Place the can in a pot. Fill the pot, nearly to the top of the can, with water. Remove the can and bring the water to a boil. Carefully place the can into the water, turn the water down and simmer for 3½ hours. Check the water level periodically and add more simmering water to the pot so that the level remains fairly constant. After 3½ hours turn the stove off and cool completely. Once cool, remove the lid and thoroughly stir the mixture until you have a gorgeous milky caramel sauce. 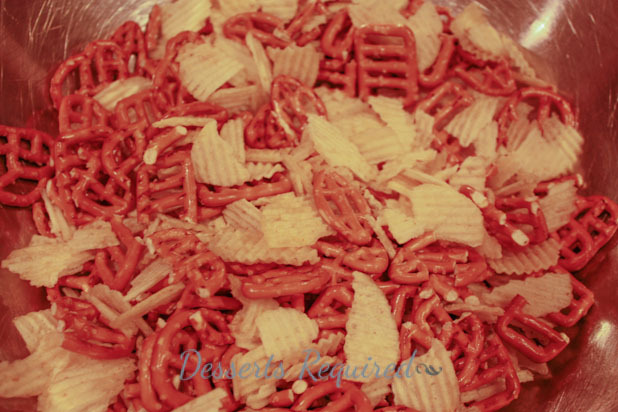 Mix the potato chips and pretzels in a very large mixing bowl. 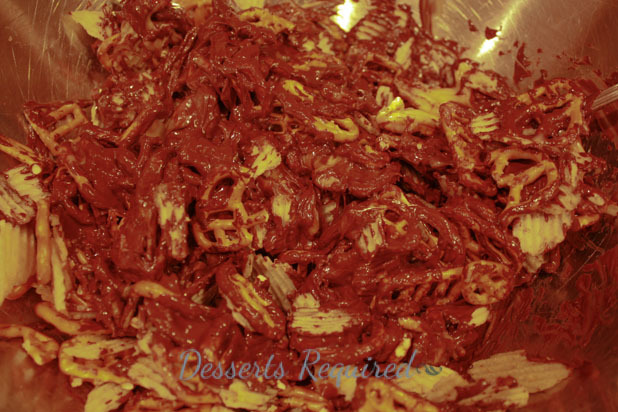 Add the cooked sweetened condensed milk and melted chocolate. 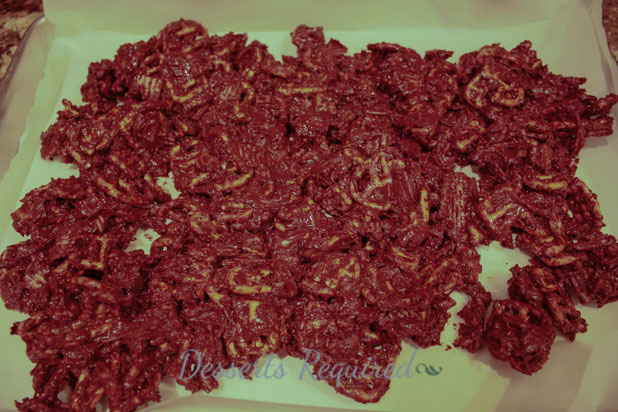 Mix the ingredients together so that the chips and pretzels are evenly coated. Transfer to the prepared pan and freeze until the mix is set. Break into pieces and enjoy. Additional time is needed for the sweetened condensed milk to cool. You are too funny! Yes, Rustic Munch Mix is HIGHLY addicting!!! I would devour this. It wouldn’t last long around me! Too funny. I don’t think this lasts long around ANYONE! I made these for my boss’s surprise birthday party. Everyone kept saying omg these are incredible. Thanks for another hit recipe. Thank you so much for letting me know. It is ALWAYS a good thing to have a hit at your boss’s party!